In today’s fast food culture we try to make every effort to eat more healthy and naturally. Which is why we are very excited to take a store tour of Whole Foods Market with Diona Carrillo, marketer for Las Vegas Blvd store, when Gerry and I head to Las Vegas next month. We have never been in a Whole Foods store but we certainly have heard a lot about them. 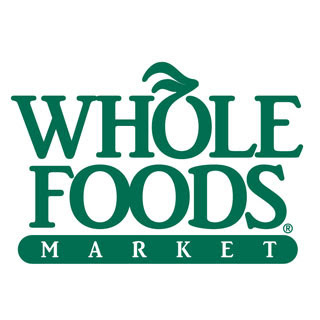 Started in 1980, Whole Foods is now the leader in natural and organic foods with more than 310 stores in North America and United Kingdom-sadly none close to where we live. The company searches for the highest quality, least processed and natural foods possible — unadulterated by artificial additives, sweeteners, colorings and preservative. Whole Foods also has high quality standards when it comes to the food that they sell, it is evaluated quality in terms of nutrition, freshness, appearance, and taste, and negotiated for the best price possible. Every effort is made to buy from local producers for the freshest and healthiest experience. For those on special diets Whole Foods offers a variety of alternatives substitutes like coconut flour, brown rice pasta, and soy sour cream that are difficult to find elsewhere. Apart from caring about the health of the consumer, Whole Foods is a fair employer and a great global partner making efforts to support organic farming and sustainable agriculture which is great plus for any company. We will enjoy our tour of Whole Foods Market I'm sure. It's just too bad we can’t bring anything home.We'll also be sure to tell you all about it!